Next to nobody expected the Houston Dynamo, who’ve made the playoffs just once in the last five years, to be unbeaten with three wins and a draw a month into the 2019 MLS season. It’s the best start in club history. And it looks even impressive when you consider that Houston had to juggle a two-leg, home-and-home series with Liga MX powerhouse Tigres in the CONCACAF Champions League just as the MLS regular season was kicking off. 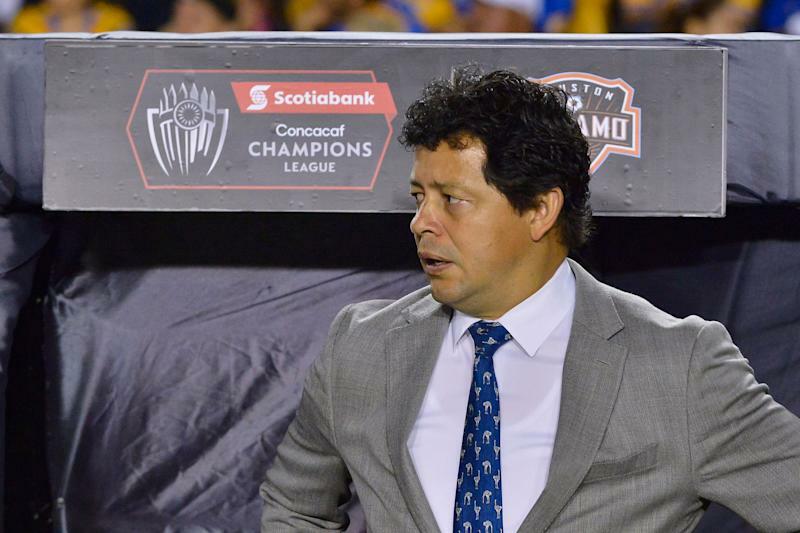 The Dynamo lost to Tigres 3-0 on aggregate. But it was closer than the score line looked, giving Wilmer Cabrera’s team a quiet confidence that has carried into April. 1. Houston made it all the way to the West final in 2017 in Cabrera’s first year at the helm. The roster was decimated by injuries last season, though, and finished 17th out of 23 teams overall. Yet the season wasn’t a total write-off: The Dynamo won their first U.S. Open Cup. “It was really important step for us to win that,” general manager Matt Jordan said in a phone interview. 4. Cabrera is an interesting guy. He won 48 caps as a defender for the swashbuckling Colombian national team during its 1990s heyday, and he played in the 1998 World Cup. He finished his career with the second-tier Long Island Rough Riders before becoming a youth coach. From 2007-12, he helmed the U.S. U-17 national team. 6. Cabrera, who never played in MLS, also noted that the league has changed significantly just in the last couple of seasons. “It’s becoming more tactical,” he said. “It used to be a little more free-flowing. Teams are more difficult to beat. They know what they want. They have a clear shape. 7. The Dynamo may be trending up on the field, but they’ve been heading in the wrong direction at the gate over the last four years. Average attendance at the beautiful downtown BBVA Compass Stadium peaked at almost 21,000, near capacity, when the building opened in 2012. But it has fallen every year since 2015, to an all-time low of 16,906 last year. 8. Houston certainly isn’t the only MLS market struggling to draw paying customers. But they are trying to do something — besides winning — about it. In November, the Dynamo hired John Walker as their president of business operations. Walker arrived with more than 30 years experience as a sports executive, including stints with baseball’s Kansas City Royals and the Phoenix Suns and Memphis Grizzlies of the NBA. 9. “We need to rekindle some relationships that were really strong that have maybe not been cared for over the last several years,” Walker told Yahoo. Dynamo fans were spoiled early on. The team won MLS Cup in 2006 and ‘07, its first two years in the city after relocating from San Jose. It was the losing finalist in 2011 and ’12 but has mostly been an also-ran since. 11. Over in the East, D.C. United is sitting pretty in first place. Like the Dynamo, Wayne Rooney and Co. have roared out of the gates with a 3-0-1 record. They’ve allowed just one goal against, the stingiest defensive mark in MLS. It’s a far cry from last year, when it took United until July to post three victories. DCU was forced to play its first 14 matches on the road in 2018 as it waited for Audi Field to be completed. 12. 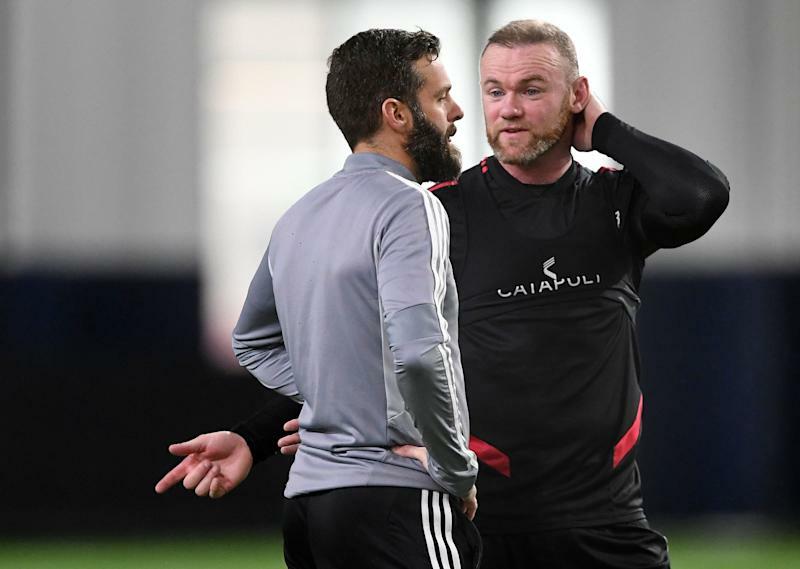 For Black and Red coach Ben Olsen, the difference this year is night and day—not that he’s dwelling on the fast start too much. “We’re in a good spot right now but for me, this job is still a week-to-week deal,” Olsen told me. 13. “This is a result-driven job and it’s tough to separate yourself from that and get too jazzed up about the fact that we’re doing OK. But I will say this: As a guy who’s been here a long time, it’s really nice to be relevant again in the city,” Olsen added. 15. Olsen is a D.C. United lifer. He played with the club from 1998-2009, winning two MLS Cups. He became its head coach toward the end of 2010 after serving less than a season as an assistant, and is now the second-longest tenured boss in the league after Sporting Kansas City’s Peter Vermes. Given that history, I was curious if Olsen allowed himself a moment, after Rooney arrived and the stadium opened, to enjoy the club’s new reality. He picked two. 17. Walker Zimmerman is having a strong season so far for LAFC after struggling at times for the expansion club during his contract year in 2018. Some players perform better when playing for a new deal, then almost subconsciously relax after reupping. Others show better once their future is determined. I think Zimmerman, who inked a new pact this offseason, falls into the latter category. And while he wasn’t named to the U.S. national team roster for last month’s friendlies with Ecuador and Chile, I’d be surprised if Zimmerman doesn’t make Berhalter’s Gold Cup squad. I haven’t been able to confirm it, yet but the team didn’t exactly deny the report in the terse, 12-word statement a Fire spokesman sent me Thursday afternoon: “We don’t comment on social media speculation from individuals outside the organization.” Fine, but Roberto’s an OG who has covered MLS since its inception. He doesn’t tweet out every rumor he hears. So where there’s smoke there’s, well, you know the rest. 19. Now I’d be all for the Fire returning to Soldier Field, the club’s home during its early years. There have been whispers about this possibility for years for obvious reasons. The club simply has to get out of Seat Geek Stadium in suburban Bridgeview. Yes, Soldier Field is too big. But it’s in the city and has a natural grass field, something successful downtown MLS-NFL stadiums in Atlanta and Seattle don’t. Put an exciting, successful team in that place and market them properly and there is no reason the Fire can’t matter in Chicago again. There’s even a precedent there in the Blackhawks. 20. In the mid-2000s, the hockey team that has called the Windy City home since 1926 wasn’t represented on a Sporting News cover declaring Chicago America’s best sports city. The NHL club was easy to forget after missing the playoffs nine out of 10 times last decade. For most of this one, though, the Blackhawks have been the toast of Chicago, with three Stanley Cups making them the hottest ticket in town along with baseball’s Cubs. There’s nothing wrong with the Fire’s brand. It’s got history. But you have to give the people a reason to care. 21. I caught up quickly with U.S. under-20 national team coach Tab Ramos last week in New York. With the U-20 World Cup in Poland looming next month, I wanted to know how confident Ramos is that MLS teams will release players for the competition. Like their European counterparts, MLS sides don’t have to let youth players represent their countries. Still, domestic teams have almost always been cooperative. There are two possible exceptions: Nineteen-year-old forwards Josh Sargent and especially Tim Weah, whose limited playing time with Werder Bremen and Celtic, respectively, could rule them out of Gold Cup roster contention and free them up to join the U-20s instead. Ramos didn’t rule it out. “That’s a question for Gregg,” he said. 24. 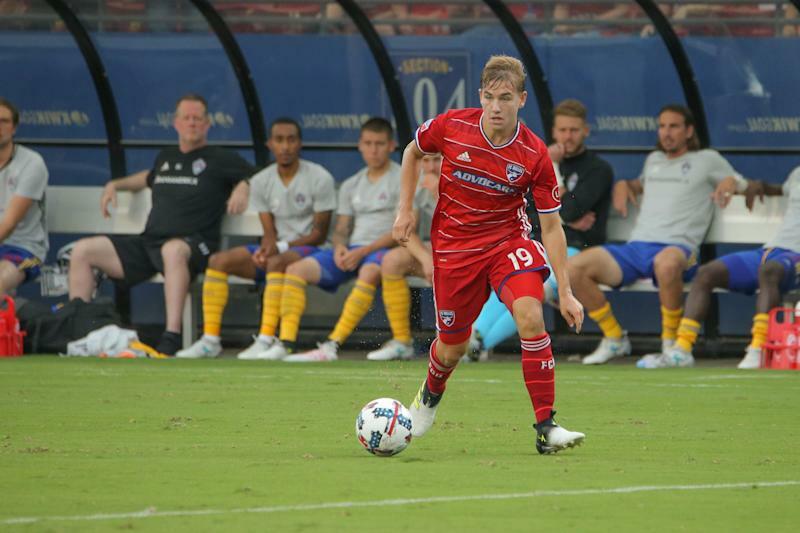 Another 19-year-old, Paxton Pomykal, has turned heads with FC Dallas this season. (FCD and new coach Luchi Gonzalez deserve some love in this space and will get it soon.) Ramos has big plans for the playmaker.